The PussyKat excitedly informed me that she confirmed our participation in The Shangri-la’s Mactan Resort and Spa’s Burger Challenge. 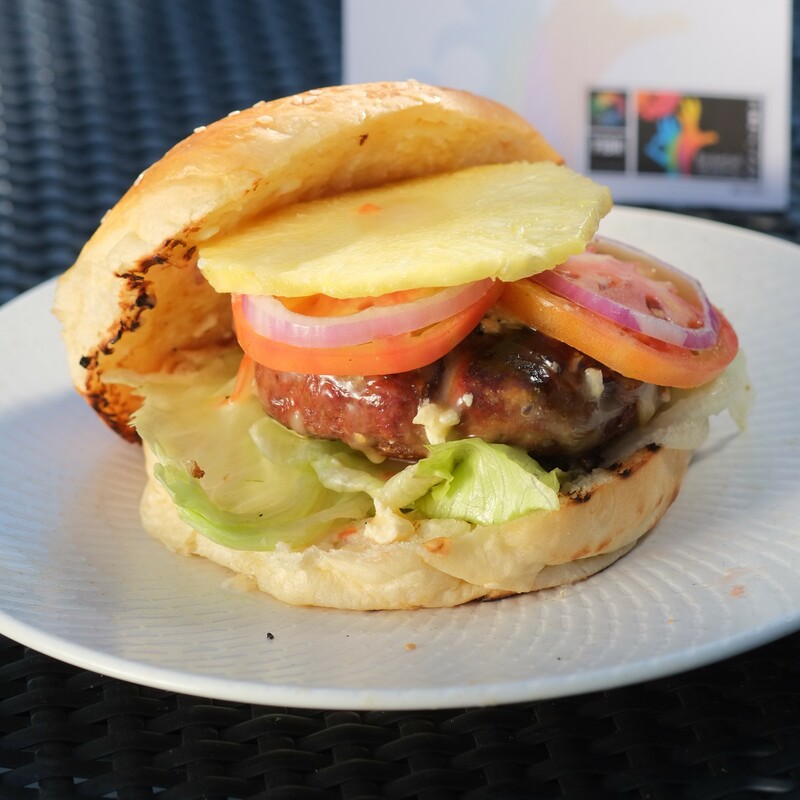 The promotional event was for the resorts’ celebration of the 2014 FIBA World Cup with their seven themed Burger Specials at Buko Bar. Finding out that we’ll be randomly paired up with other invitees, the competition already began at home with her poking fun at the possibility of The Hamburgero losing to the other contestants and, especially, to her. Quite confident with her extensive home cooking experience, this woman terribly underestimated someone who used to cook relatively fancy, full meals in an overheating dish dryer. Pairing off through a draw, the two-man teams then drew country names to represent and, consequently, burger type to build. The formidable Doyzkie of iluvcebu.com was joined by Jason of Everything Cebu for Team Greece. Birthday girl Monica of istorya.net and the Fiona of Sun Star Cebu made up Team Australia. Entering the tourney in third as Team Mexico were Patty of Zee Lifestyle and Gerald of istorya.net. Former cheerleaders and erstwhile Mean Girls, The PussyKat of onefrozenmargarita and Joanna of Sun Star Cebu waved stars and stripes for Team USA. The underdogs, coming in last, were The Hamburgero of pornografeed and Jessica of Everything Cebu for national pride, Team Philippines. What we could call a simultaneous two-on-two by five began with the referee, Executive Chef Mark Mulder, explaining the mechanics and assisted by Sous Chef Manuel “Yoyong” Taboada. 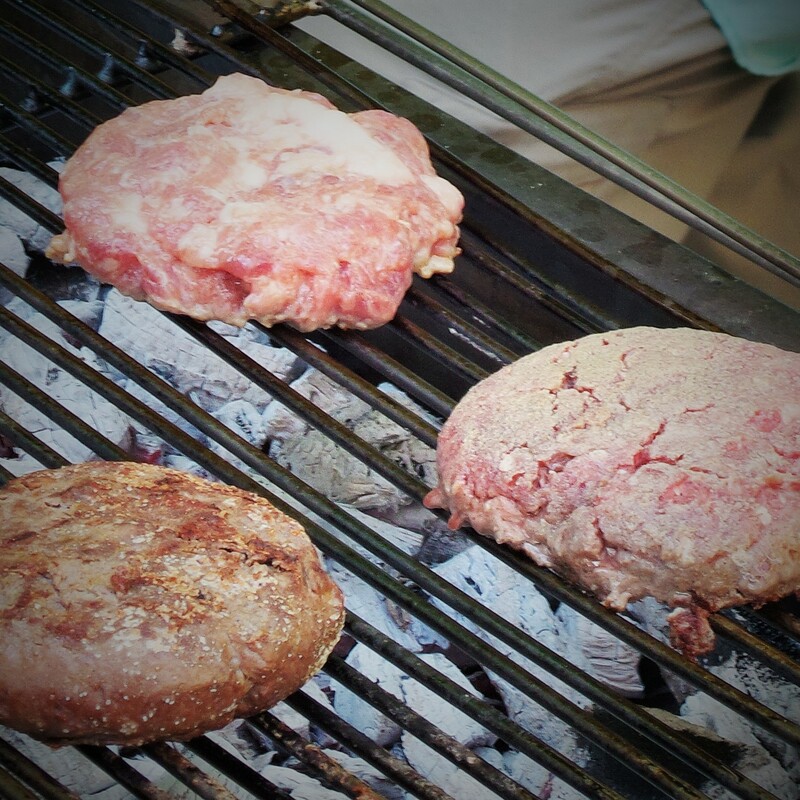 Each team was shown a photo of the burger they were to build and were to gather their ingredients from the presets, season, grill and assemble with considerations for completeness of the designated burger stacks, presentation and, of course, taste. The jump b̶a̶l̶l̶ bowl at the opening tip had everyone scrambling for their ingredients. Moving to the safety of the sidelines, Team Philippines quickly shied away from the heat in a strategic move to let the powerhouses initially slug it out. Team USA, missing their shot at onions, committed the first foul in the game when The PussyKat went for a backdoor cut to steal half a bowl from Team Philippines. Team Greece calmly went through the paces. The duo had an excellent game plan of including a Greek side salad although it remained to be seen at that point if the extras would cut it. Kitchen power forward Monica of Team Australia led the pack on the seasoning and was first on the grill with Fiona starting their stack early on. Team Mexico, under pressure to live up to their MVP Patty’s name, definitely needed to bring on the spice but no one can underestimate the possible advantages of the jalapeno-guacamole play with their 6-foot-1 center, Gerald. Sidling through all that aggression and seeing the rest of the teams refusing to destroy the pre-formed patties integrity with just exterior seasoning, Team Philippines incorporated the seasoning into the meat at the expense of possible loss of presentation points. Team USA committed their second flagrant foul by excessive player contact when The PussyKat and Joanna boxed in Team Philippines for the move. Speedy Australia hit a long three-pointer as first to complete their stack with an emu patty and Brie cheese but had to go round back due to injury: forgetting to grill the pineapple. 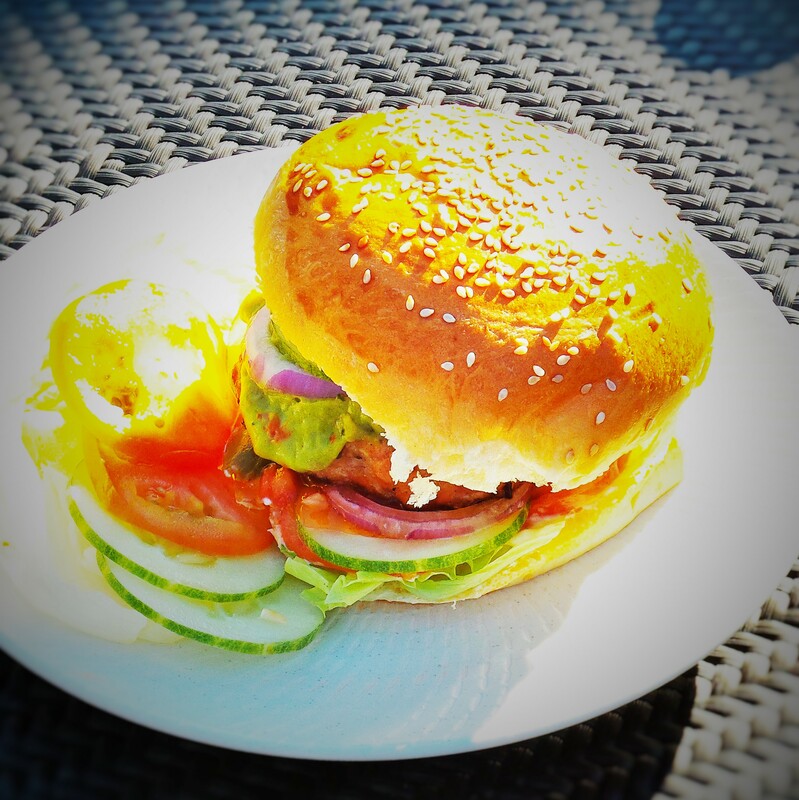 Mexico went out strong with their chicken patty, jalapeno pepper, guacamole and tomato salsa combo leading to a toss between them and Australia. Greece stood out as the most impressive, winning “Best in Presentation” when their beef patty, romaine lettuce, melitzanosalata (eggplant puree) and feta cheese stack lined up beautifully in a shot. T̶e̶a̶m̶ ̶U̶S̶A̶,̶ ̶w̶e̶l̶l̶.̶.̶.̶ T̶e̶a̶m̶ ̶U̶S̶A̶ ̶w̶e̶n̶t̶ ̶w̶i̶t̶h̶o̶u̶t̶ ̶p̶o̶i̶n̶t̶s̶ ̶f̶o̶r̶ ̶w̶h̶a̶t̶ ̶w̶o̶u̶l̶d̶ ̶h̶a̶v̶e̶ ̶b̶e̶e̶n̶ ̶c̶l̶a̶s̶s̶i̶c̶ ̶A̶m̶e̶r̶i̶c̶a̶n̶a̶ ̶o̶f̶ ̶b̶e̶e̶f̶ ̶w̶i̶t̶h̶ ̶c̶r̶i̶s̶p̶y̶ ̶b̶a̶c̶o̶n̶ ̶a̶n̶d̶ ̶c̶h̶e̶e̶s̶e̶ ̶w̶h̶e̶n̶ ̶t̶h̶e̶y̶ ̶f̶u̶m̶b̶l̶e̶d̶ ̶a̶ ̶p̶a̶s̶s̶ ̶ T̶e̶a̶m̶ ̶U̶S̶A̶ ̶t̶h̶r̶e̶w̶ ̶t̶h̶e̶i̶r̶ ̶h̶a̶n̶d̶s̶ ̶u̶p̶,̶ ̶n̶o̶d̶d̶i̶n̶g̶ ̶t̶h̶e̶i̶r̶ ̶h̶e̶a̶d̶s̶ ̶l̶i̶k̶e̶ ̶y̶e̶a̶h̶,̶ ̶m̶o̶v̶i̶n̶g̶ ̶t̶h̶e̶i̶r̶ ̶h̶i̶p̶s̶ ̶l̶i̶k̶e̶ ̶y̶e̶a̶h̶ ̶b̶u̶t̶ ̶t̶o̶o̶ ̶b̶a̶d̶ ̶i̶t̶ ̶a̶i̶n̶’̶t̶ ̶t̶h̶e̶i̶r̶ ̶p̶a̶r̶t̶y̶.̶.̶.̶ In the interest of self-preservation, no further commentary on Team USA will be made available. 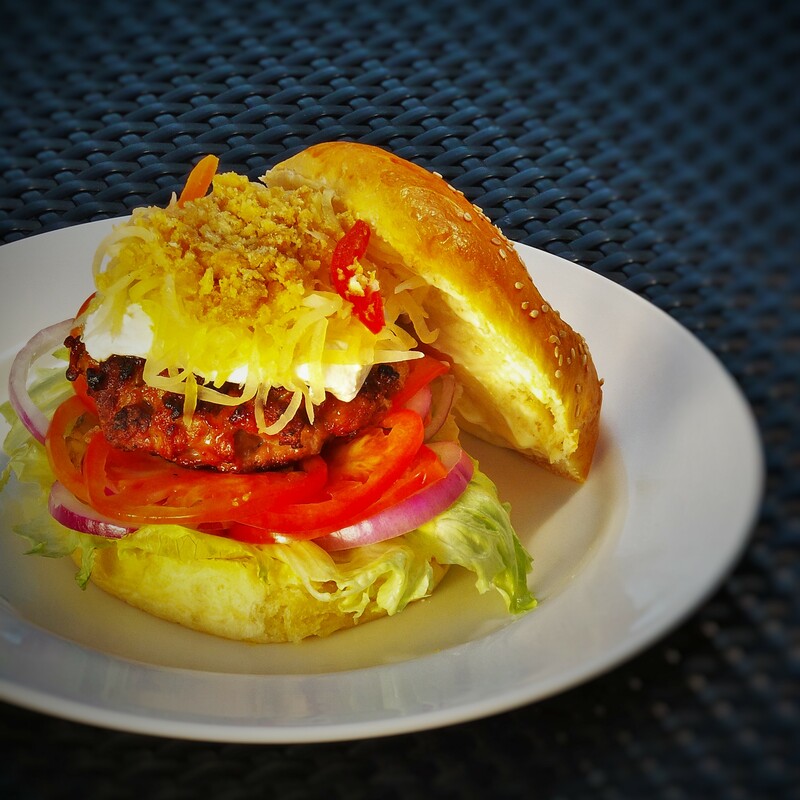 Team Philippines set their presence in the low position with a precision cut lower bun with both players alternately bounce passing tomatoes and onions onto the lettuce. 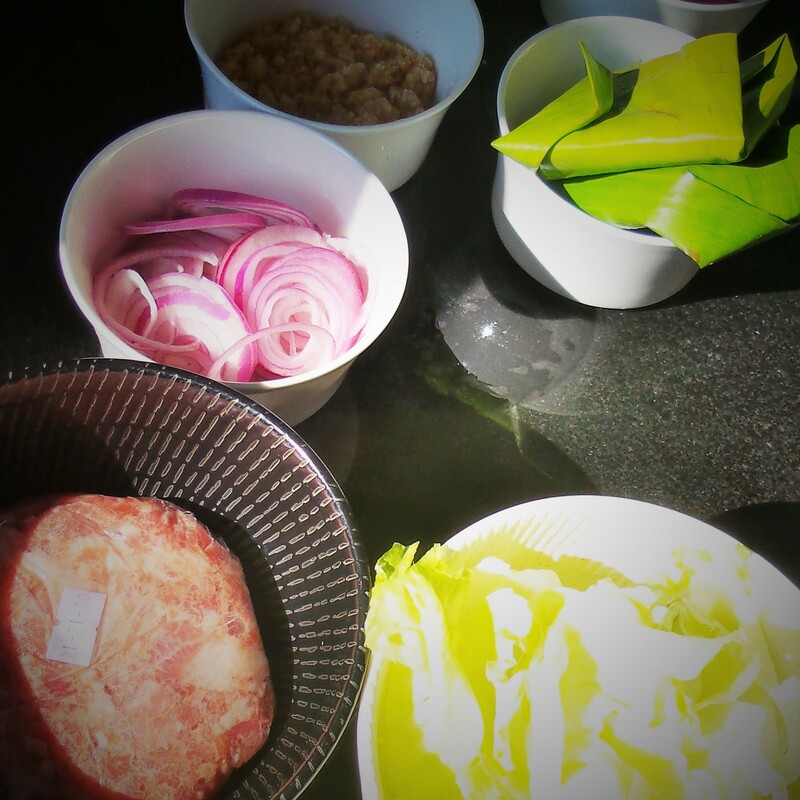 Banking on the earlier fast break with the well-seasoned Adobo pork patty, Jessica put on a slice of Kesong Puti (Carabao Cheese) in a layup with The Hamburgero following up another point taking it from Jessica and tipping-in atchara (pickled green papaya) on and around the rim. The Hamburgero then threw some chicharon cracklings up in an alley oop with Jessica bringing down the top bun in a buzzer beating slam dunk. Waiting for Chef Mark to judge the burgers according to taste, the weary teams were led into the Buko Bar for a post-game feast. Traditional team fare of chicken wings, pizza, pasta and the players’ choice of beverages were served. 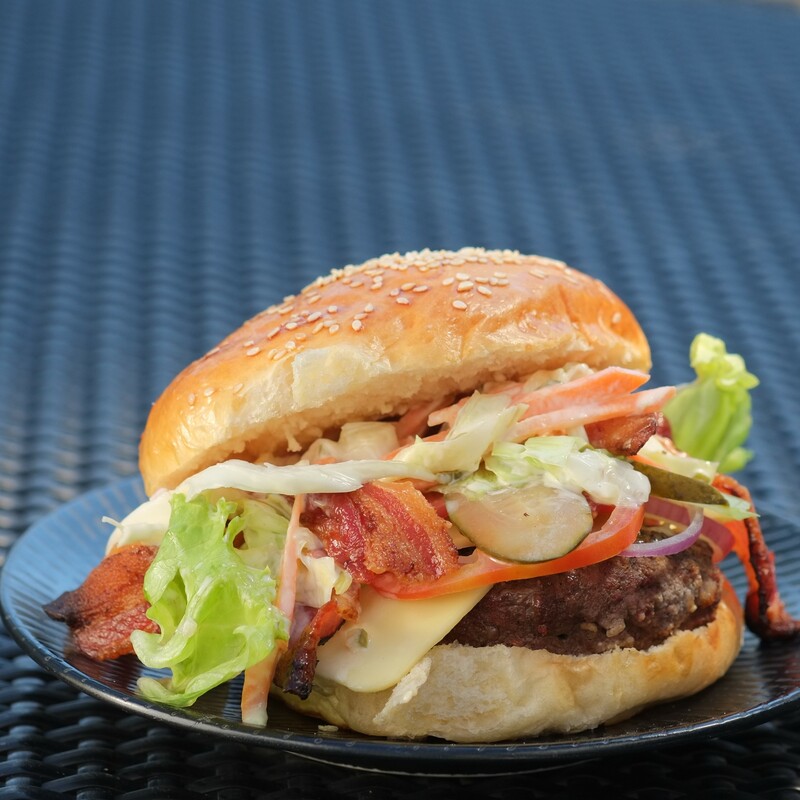 The actual burger specials from the SMRS kitchen were also served to share in the spirit of sportsmanship and camaraderie. *smiles my smarmiest* LOL. Issuing disclaimers to soften whatever blows will be dealt, Chef Mark finally announced the winner for “Best in Taste”: TEAM PHILIPPINES! 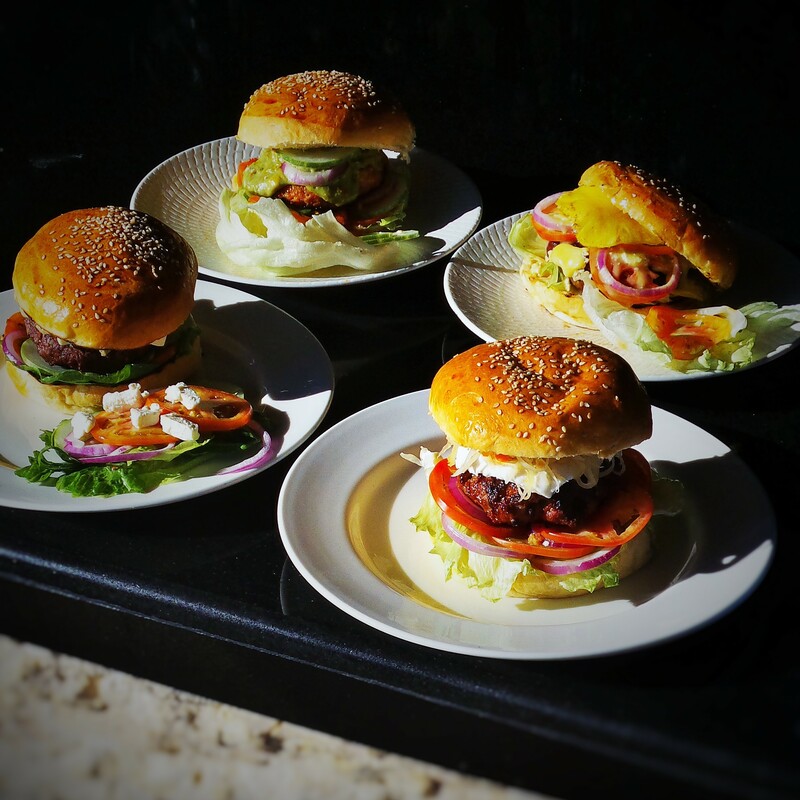 Shangri-La’s Mactan Resort & Spa, Cebu beefs up for FIBA World Cup 2014, inviting basketball enthusiasts to get their game on and indulge in burger-ific times with the debut of seven juicy burger specials at Buko Bar. From August 30 to September 14, jump shots and slam dunks rule the court as the rustic al fresco poolside lounge plays host to buzzer beaters with live telecasts of the FIBA World Cup 2014.In tasty celebration of the world championship playoffs, basketball fans are invited to experience each exciting minute with every mouthwatering bite of Burger Specials in American, Australian, Greek, Korean, Mexican, Philippine and Spanish flavors. 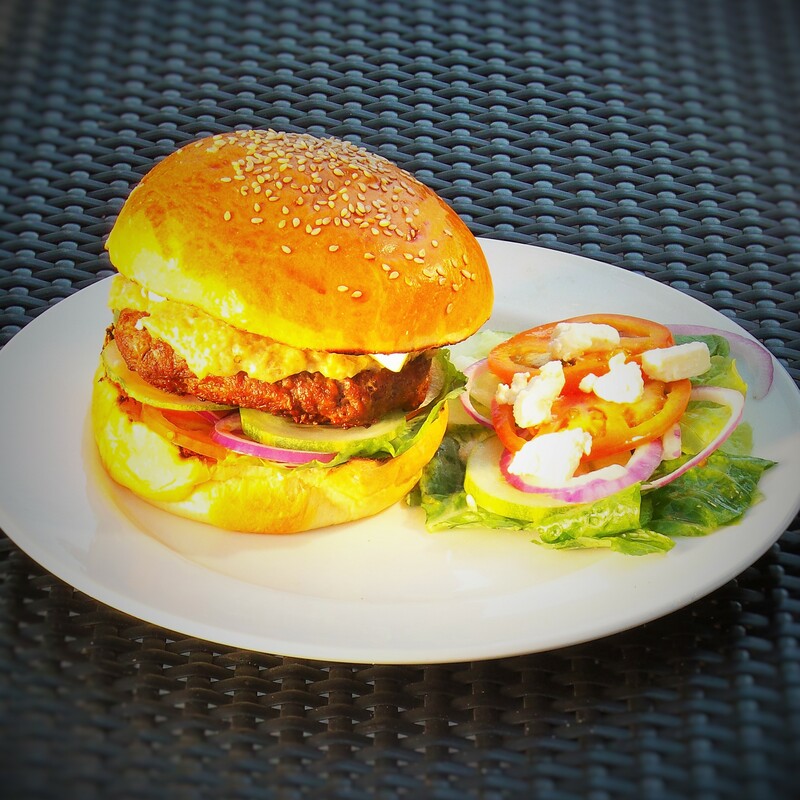 Available at P500++ each, Buko Bar’s burgers are composed of succulent patties served on fresh sesame buns and come with a side order of the resort’s signature Cajun fries. For inquiries and reservations, guests may contact Restaurant reservations at (63-32)231-8224 or email fbreservations.mac@shangri-la.com. The Shangri-La’s Mactan Resort & Spa, Cebu is located at Punta Engano, Mactan, Cebu, Philippines. 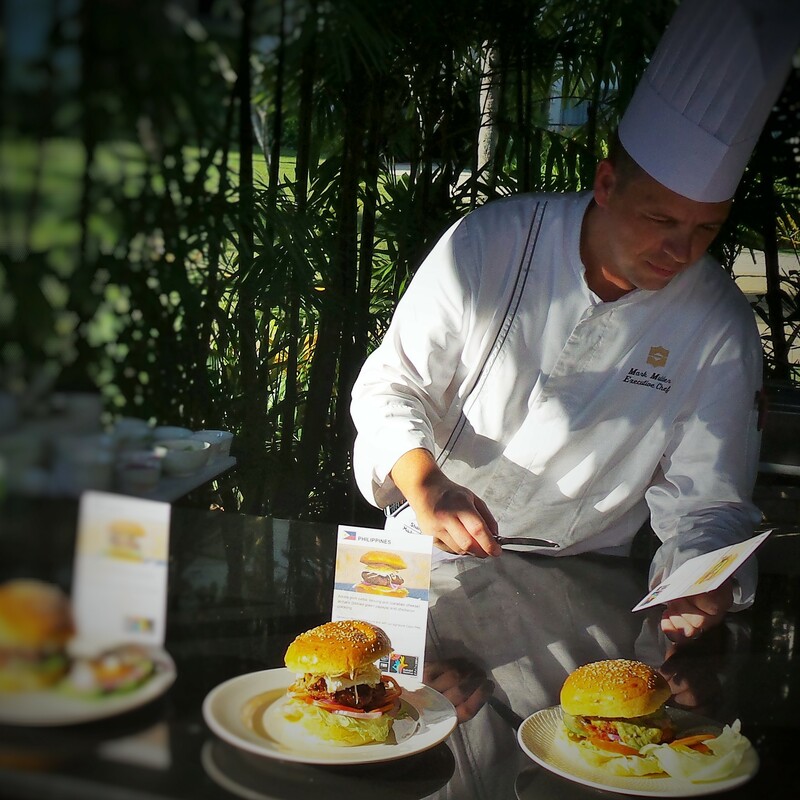 Photos for Team USA and Team Australia’s Burgers are courtesy of The Shangri-La’s Mactan Resort and Spa, Cebu. 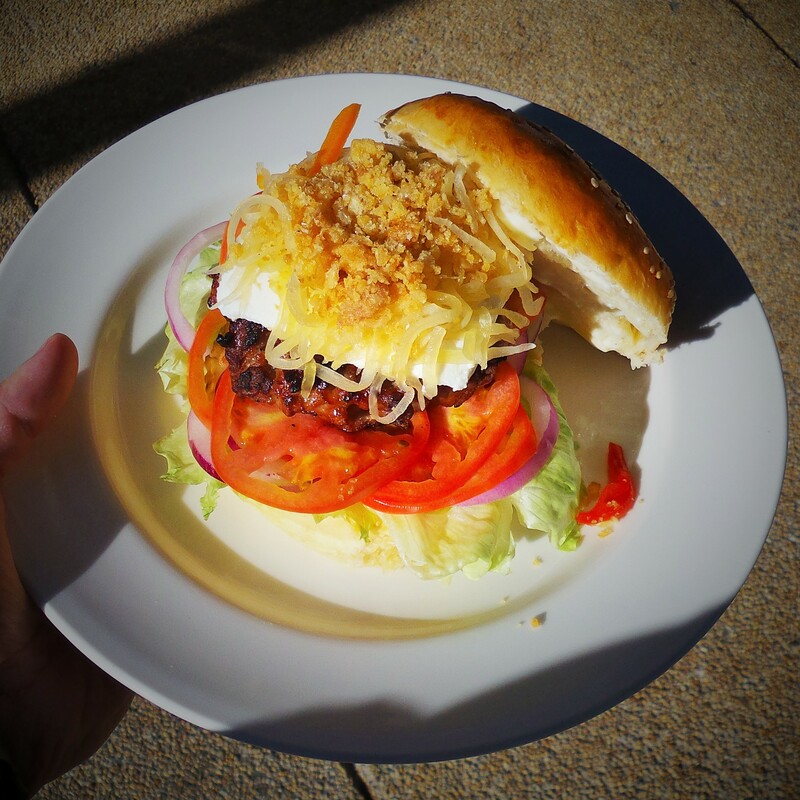 This entry was posted in Uncategorized and tagged Buko Bar, burger challenge, cebu, Cheddar cheese, cheese sauce, Chicken, FIBA 2014, foodporn cebu, hamburgero, shangri-la, shangri-la's mactan resort & spa cebu, Sun Star Cebu, Team Philippines. Bookmark the permalink.